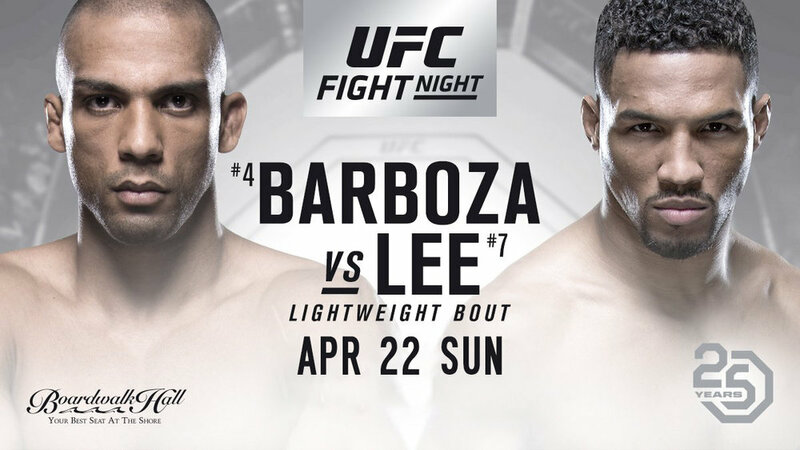 A lightweight bout between top contenders Edson Barboza and Kevin Lee will headline UFC Atlantic City on April 22. Barboza (19-5) last fought at UFC 219 when he suffered a one-sided unanimous decision loss to the undefeated Khabib Nurmagomedov. Before that, Barboza won three consecutive fights, including two decision wins over Anthony Pettis and Gilbert Melendez, and a flying knee KO over Beneil Dariush. Lee (16-3) missed out on UFC gold when he was submitted by Tony Ferguson in their interim lightweight championship fight at UFC 216 last October. “The Motown Phenom” notched up a five-fight winning streak before his most recent loss, picking up stoppage victories over names such as Michael Chiesa and Jake Matthews.